A rare pink fluorite specimen with exceptional brightness. 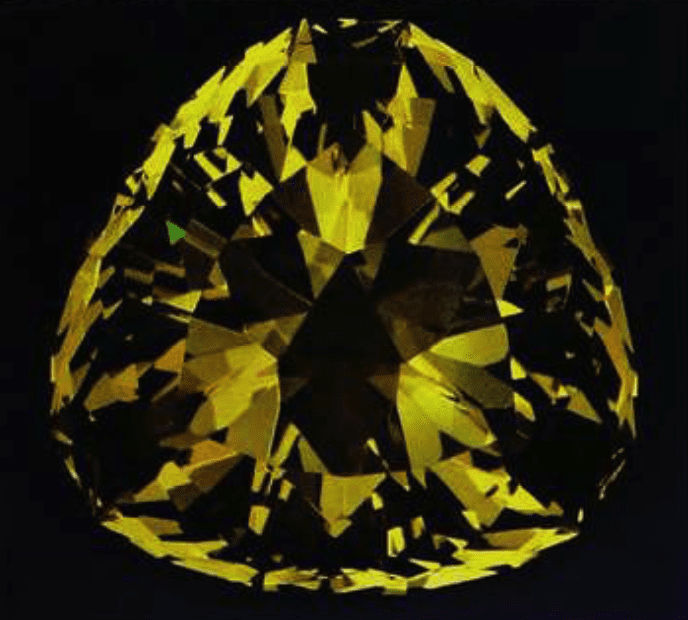 18.56-ct, oval brilliant cut, Chumar Bakhoor, Hunza Valley, Gilgit District, Gilgit-Baltistan (Northern Areas), Pakistan. © Rob Lavinsky, www.iRocks.com. Cropped to show detail. Used with permission. 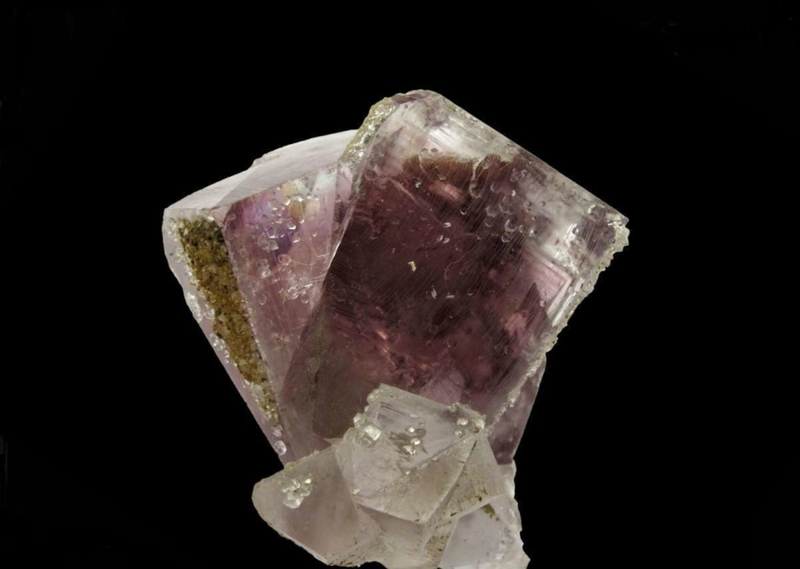 Although too fragile for most jewelry use, fluorites are often faceted for collectors. They occur in a wide range of attractive colors and can be extremely bright. These gems are also renowned for their fluorescence. Colors An extremely wide range is represented: colorless, purple (various shades), green (various shades), blue-green, blue, yellow to orange, brown (various shades), white, pink, red, brownish red, pinkish red, brownish black, black. Crystals are frequently color zoned. Crystallography Isometric. Usually in good crystals, cubes, octahedra, and other forms, often twinned; also massive, granular. Specific Gravity 3.180; massive material with impurities 3.0-3.25. Luminescence See "Identifying Characteristics" below. 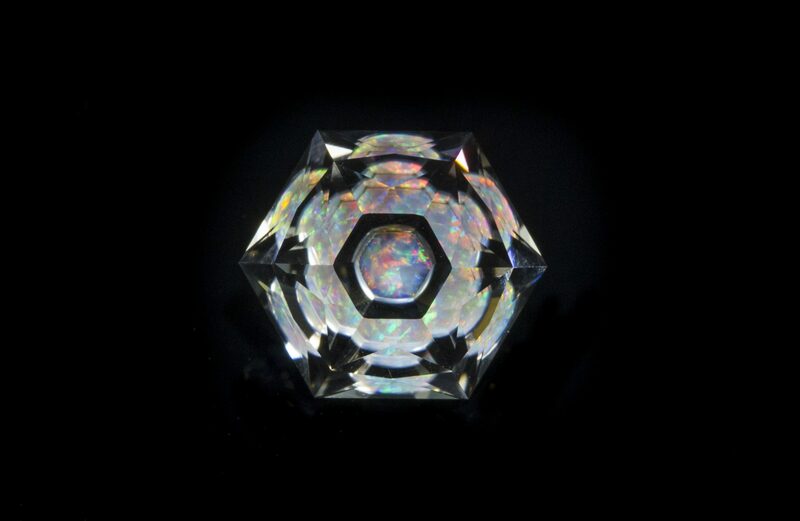 Enhancements Faceted gems may receive heat treatment or irradiation. 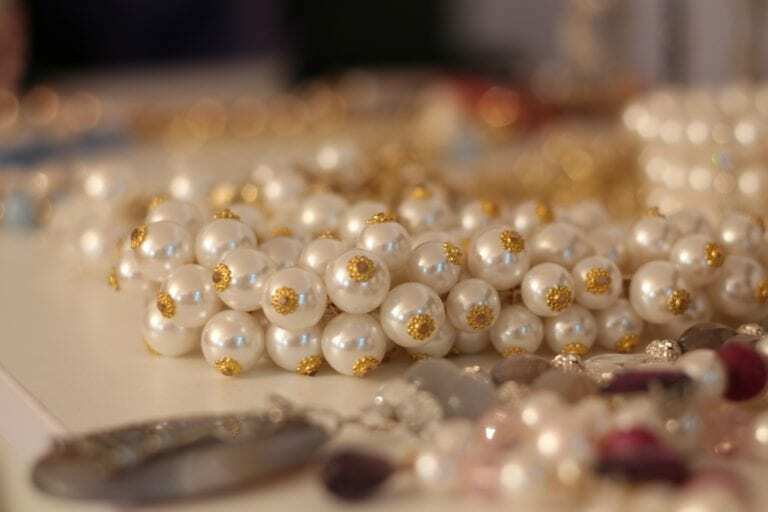 Decorative objects may receive coating, dyeing, and plastic impregnation. Absorption Spectrum U and rare earths are often present; spectrum reflects their presence. Spectra usually vague, however. Green material has lines at 6340, 6100, 5820, and 4450 and a broad band at 4270. Phenomena Color change (Very rare). From the Latin fluere, “to flow,” because it melts easily and is used as a flux in smelting. In hydrothermal deposits; sedimentary rocks; hot springs; rarely in pegmatites; usually associated with sulfide ore deposits. Mineral crystals, cavities (single, two, and/or three phase), healed fractures. Fluorite: Canada (6.14), Illinois (17.1) // Germany (4.35), Colombia (13.0), New Mexico (1.2), Switzerland (3.5). Photo © Joel E. Arem, PhD, FGA. Used with permission. Despite its low refractive index (RI), fluorite can take a high polish. 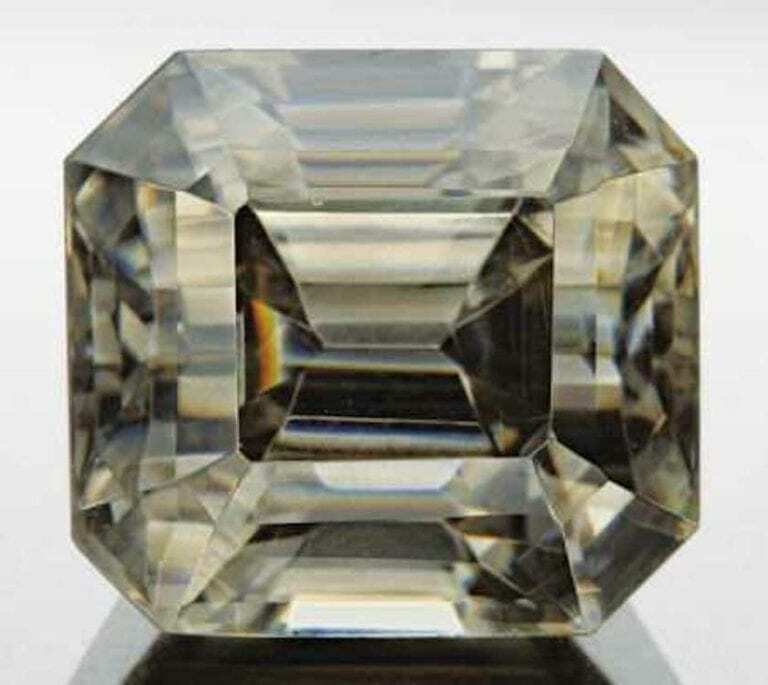 This means faceted fluorites can show exceptional brilliance. Fluorites come in many colors, including colorless. 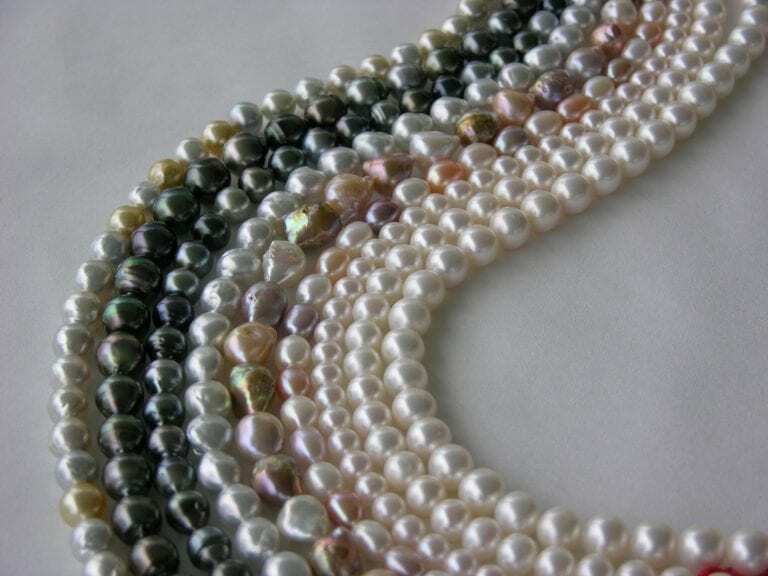 Most available stones occur in shades of purple, blue, or green. Chrome green material from Colombia and pink gems are rare. Lapidaries can cut bi-colored gems from color zoned crystals, too. 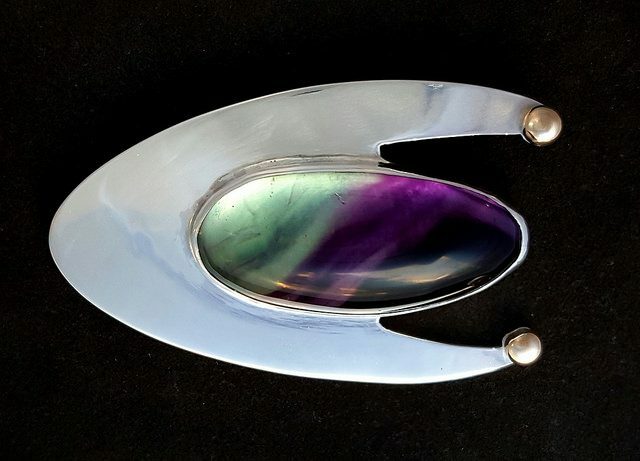 Atomic age inspired “Sterling silver pendant with a rainbow fluorite stone,” by Rhonda. Licensed under CC By-SA 2.0. 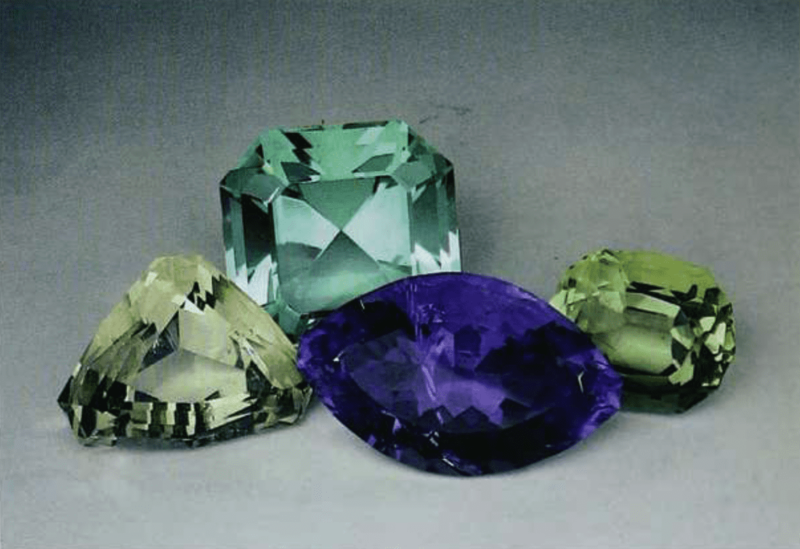 Chemical impurities and natural irradiation contribute to fluorite’s colorful varieties. 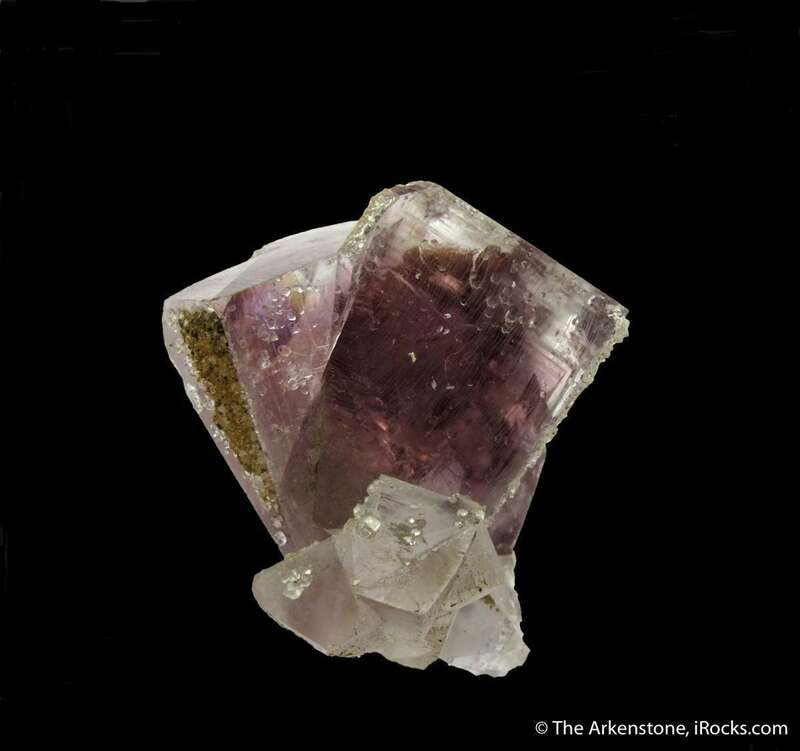 Very rarely, some fluorites display an alexandrite-like color change effect, from blue in daylight to purple or lavender in incandescent light. (Materials from England and Cherbadung, Switzerland have demonstrated this). Fluorite: Colombia (3.05), Switzerland (0.92), Illinois (15.20) // Illinois (5.75), England (6.05), Illinois (8.80). Photo © Joel E. Arem, PhD, FGA. Used with permission. For over 1,500 years, English artisans used Blue John or Derbyshire Spar as decorative material in vases, carvings, bowls, and so forth. This fluorite variety has bands of white, blue, violet, and reddish brown. 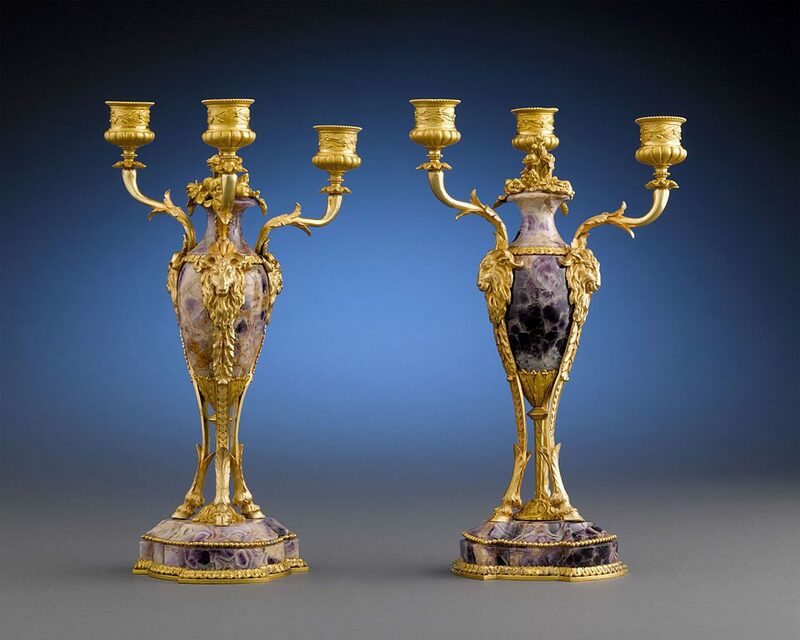 “Blue John Candelabra,” circa 1860, by Rauantiques. Licensed under CC By-SA 4.0. The Derbyshire deposits are nearly exhausted. 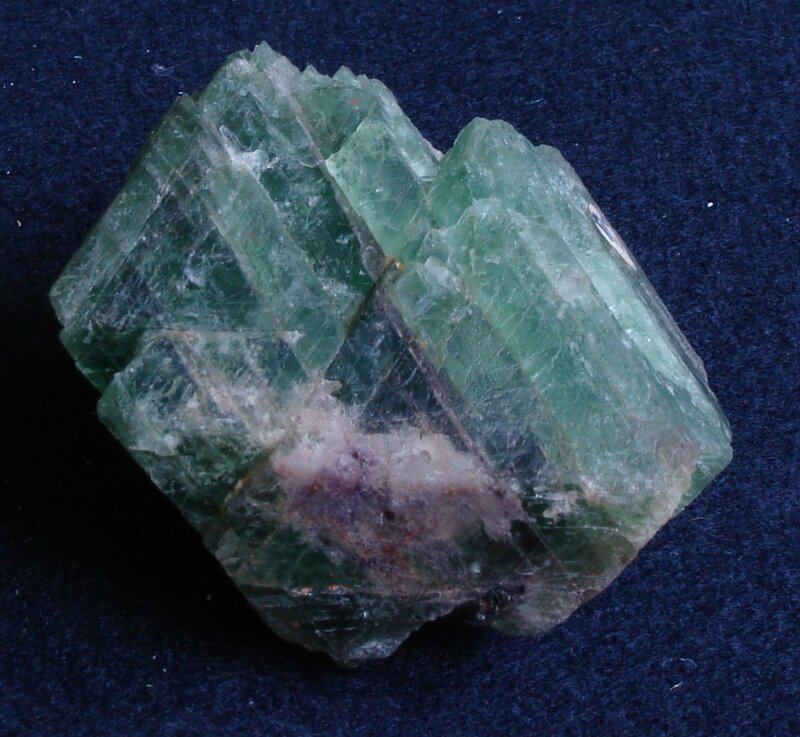 However, a similar type of fluorite has been discovered in China. A craftsman at the Treak Cliff Cavern workshop in Derbyshire, England placed slices of Blue John, too thin for jewelry, on his window. “Treak Cliff Cavern – slices – Andy Mabbett – 05” by Andy Mabbett. Licensed under CC By-SA 3.0. Some fluorites exhibit fluorescence and even phosphorescence (see “Identifying Characteristics,” below). Chlorophane, a rare fluorite variety, possesses these properties as well as thermoluminescence and triboluminescence. It luminesces when heated and held, respectively. “Fluorite, Var. 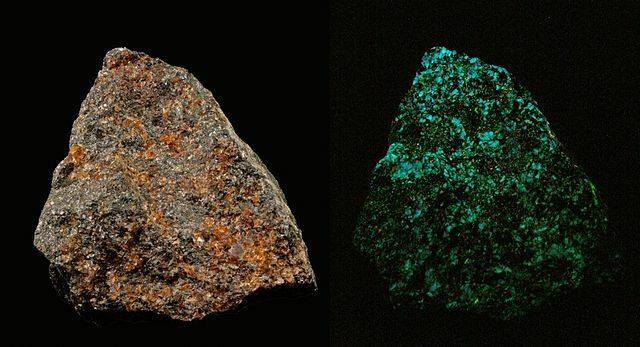 Chlorophane,” (UV SW light, right), Buckwheat dump mineral collecting site, Franklin, Franklin Mining District, Sussex Co., New Jersey, USA, by Modris Baum. Public Domain. Some (but not all) fluorites display fluorescence under ultraviolet light (UV). Thus, confirming the presence of this property isn’t diagnostic for identifying fluorite. However, this property is strongly associated with this gem. In fact, in 1852, the physicist Sir George Gabriel Stokes named this effect “fluorescence” after his studies of the mineral fluorite. “Green Fluorite Crystal,” photographed under normal light (left) and UV light (right), by GorissM. Licensed under CC By-SA 2.0. 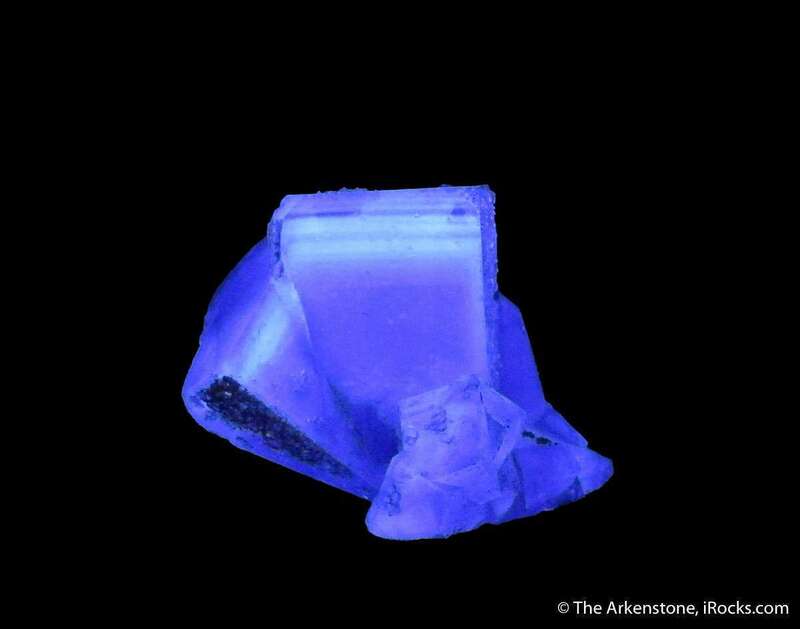 The presence of uranium (U) and rare-earth elements likely cause fluorite’s fluorescence. However, sometimes organic inclusions (hydrocarbons) may be the cause. 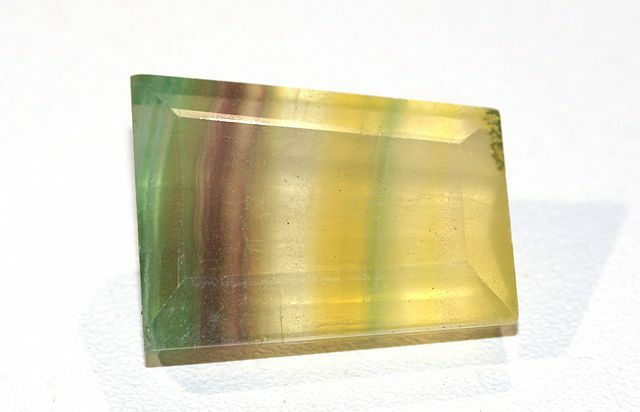 Under longwave UV, fluorites can fluoresce yellow, blue, white, reddish, violet, or green. Some material phosphoresces under X-rays. Some material is thermoluminescent. “Fluorite with Quartz (Fluorescent),” Allenheads Mine, East Allendale, North Pennines, Northumberland, England, UK. © Rob Lavinsky, www.iRocks.com. Used with permission. Lab-created fluorite in all its various colors is available. The optics industry especially values fluorite for the creation of high-quality lenses. Its low RI and low dispersion make it an ideal lens material. Not surprisingly, the search for cheaper synthetic production continues apace. (Some manufacturers melt and mix high-purity natural fluorites with other materials to create high-quality lenses). Currently, high production costs, combined with fluorite’s low hardness and perfect cleavage, make synthetics an improbable choice for jewelry. Due to their considerable color range, you’ll more likely find fluorites misidentified or misrepresented as other gems. For example, fluorites have been offered as amethysts, emeralds, and color change garnets. Hardness testing, of course, is the easiest way to distinguish fluorites from these more popular jewelry stones. However, conduct scratch testing only as a last resort and never on a finished gem. Fortunately, fluorite’s very low RI and dispersion can help distinguish it from many other gems. One of the more unusual examples of fluorite as a simulant, “night glowing pearls” have appeared in Asian markets. These stones aren’t pearls at all but often spherical fluorites, sometimes untreated but sometimes coated with a material to enhance phosphorescence. Heating to 100-150°C can lighten dark-colored fluorites. Higher temperatures risk removing all color. On the other hand, radiation treatment can turn colorless and pale green material darker blue, green, or purple. Decorative objects might receive coating, dyeing, and plastic impregnation treatments. Fluorites occur in many localities worldwide. Fluorite: Africa (62.55), New Hampshire (152.90), Illinois (17.55), New Hampshire (38.10). Photo © Joel E. Arem, PhD, FGA. Used with permission. Ontario, Canada: banded, violet material in calcite. Chamonix, Switzerland; octahedral pink crystals, on quartz, very rare. United Kingdom: Cornwall; Cumberland; Derbyshire. United States: Colorado; Illinois (occurs in many colors, best known, especially violet material from Rosiclare); Michigan; Missouri (purple, blue, yellow, brown, colorless); Westmoreland, New Hampshire (bright green fluorite in crystals up to 8 inches across); New Mexico. Argentina; Austria; China; Czech Republic; France; Germany; Italy; Korea; Morocco; Myanmar; Namibia; Pakistan; Russia; Slovakia; South Africa. “Faceted Fluorite,” Argentina, by Didier Descouens. Licensed under CC By-SA 3.0. Since suitable rough from a wide range of localities is available, fluorites can be very large. 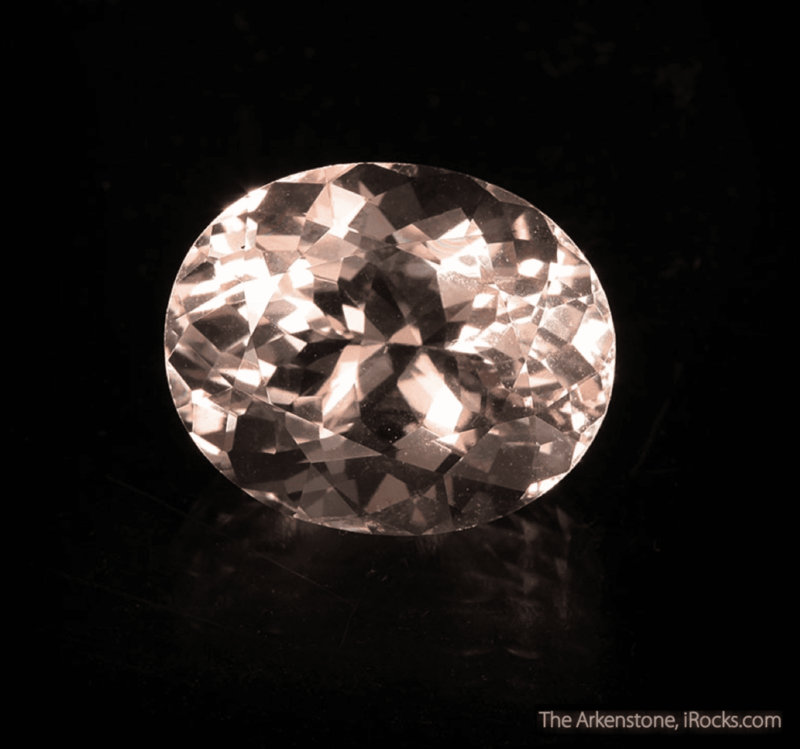 However, large stones totally free of internal flaws are extremely rare. Many fluorite crystals are transparent. Fluorite: Illinois (1,031, world’s largest of this color). Photo © Joel E. Arem, PhD, FGA. Used with permission. Smithsonian Institution (Washington, DC): 729 (green, Colombia); 492, 354 (pink, Korea); 348 (pale blue, Korea); 263, 234 (light brown, Africa); 118 (purple, England); 354 (pale yellow, Illinois); 229, 124.5 (green, New Hampshire); 117 (green, Africa); 111.2 (violet, Illinois); 118.5, 85.4 (blue, Illinois); 32.7 (colorless, Illinois); 13 (pink, Switzerland). Devonian Group (Calgary, Alberta, Canada): 68 (deep blue, Namibia), 23.7 (pink, Africa); 72.4 (green). Harvard University: 180 (green, New Hampshire). Los Angeles County Museum: 1031 (yellow, triangle, Cave-in-Rock, Illinois, world’s largest yellow fluorite); 100 (chrome fluorite, Colombia); 30 (chrome fluorite, Azusa Canyon, Los Angeles County, California). 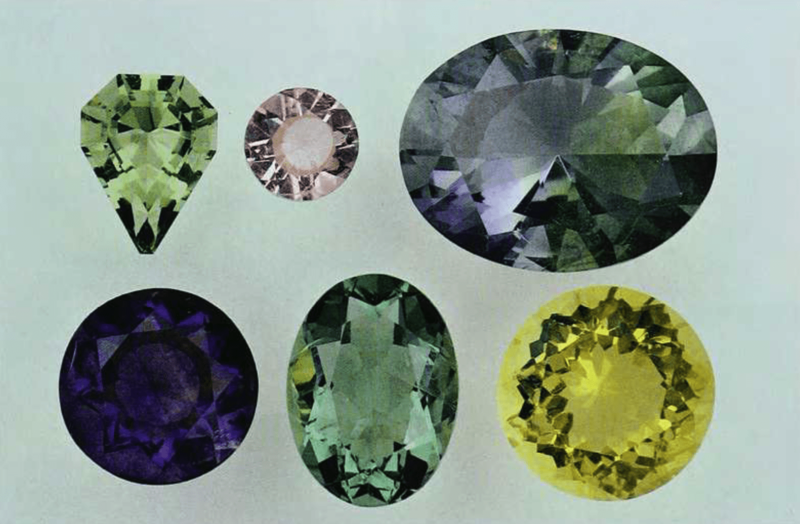 Private Collection: 100+ (pink, South Africa); 203.5 (yellow, Illinois); 17.92 (brown, Michigan); 3969 (Kashmir-sapphire blue, Illinois). 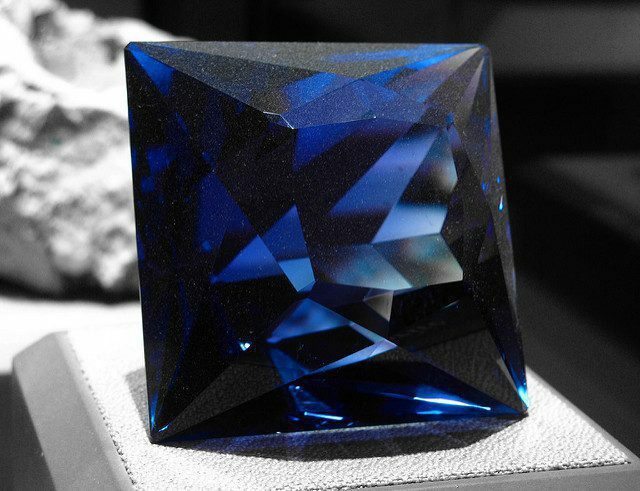 At 3,965.35 cts, one of the largest known fluorite gems, on display at the Smithsonian National Museum of Natural History. “2009 04 19 – 4733b – Washington DC – Natural History Museum – Fluorite” by thisisbossi. Licensed under CC By-SA 2.0. Due to its cleavage, brittleness, and low hardness, fluorite is too fragile for most jewelry use. Ring use isn’t recommended. 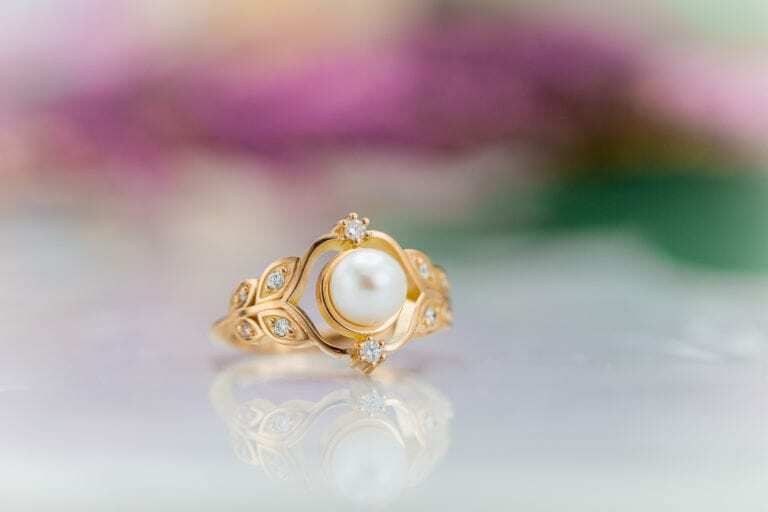 However, protective settings, occasional wear, and use in pendants and earrings can let you show off these beautiful gems. Some specimens may fade with prolonged exposure to light, so store any fluorite jewelry out of the light. 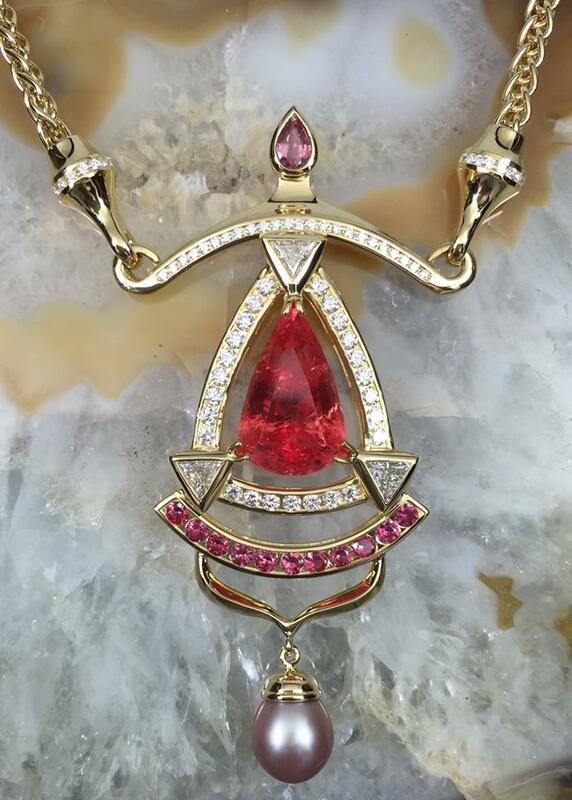 In addition, store them separately from other harder gemstones to prevent contact scratches. Since fluorites are slightly soluble in water, never submerge them. Clean them only with a warm damp cloth, detergent, and soft brush. Never use mechanical cleaning systems. 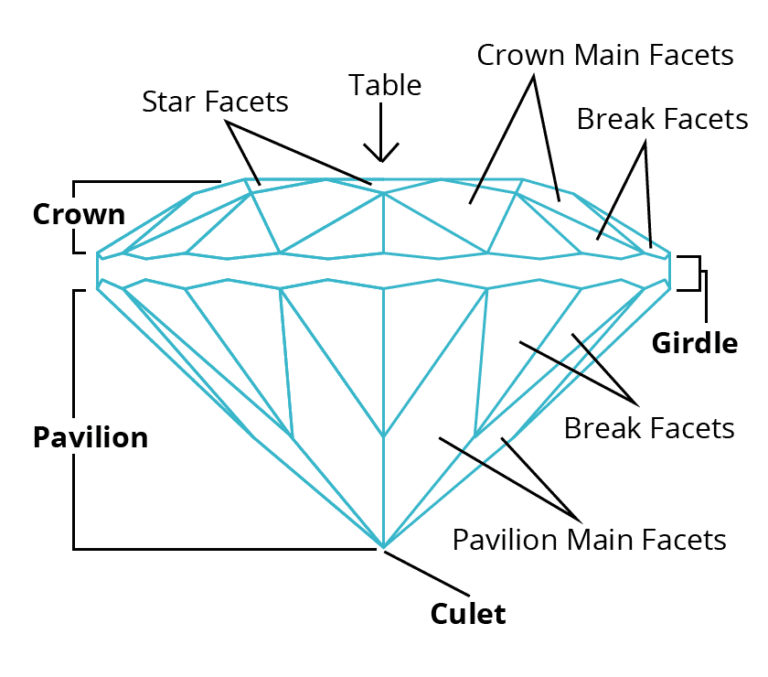 For more cleaning recommendations, consult our gemstone jewelry cleaning guide. 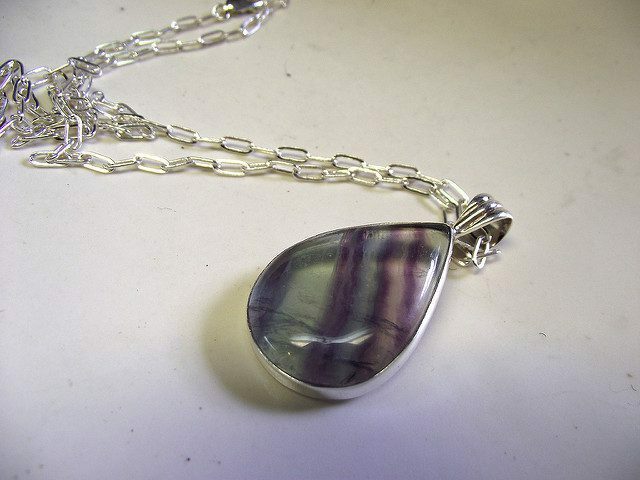 “Pear Shaped Fluorite set in Sterling Silver Necklace” by Gaia Metal Studio. Licensed under CC By-ND 2.0.